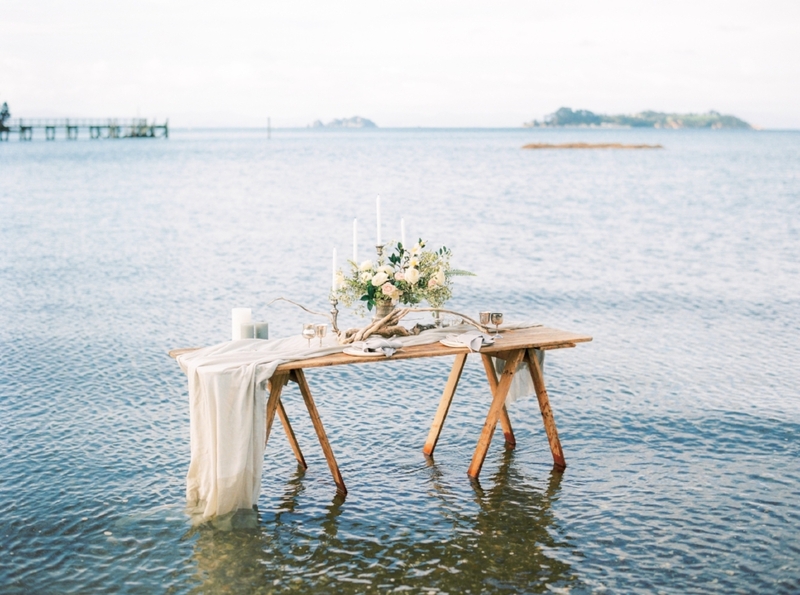 As the seasons turned, we found ourselves on a windswept beach down the far end of Waiheke Island, with a few fellow wedding specialists, knee deep in the sea! 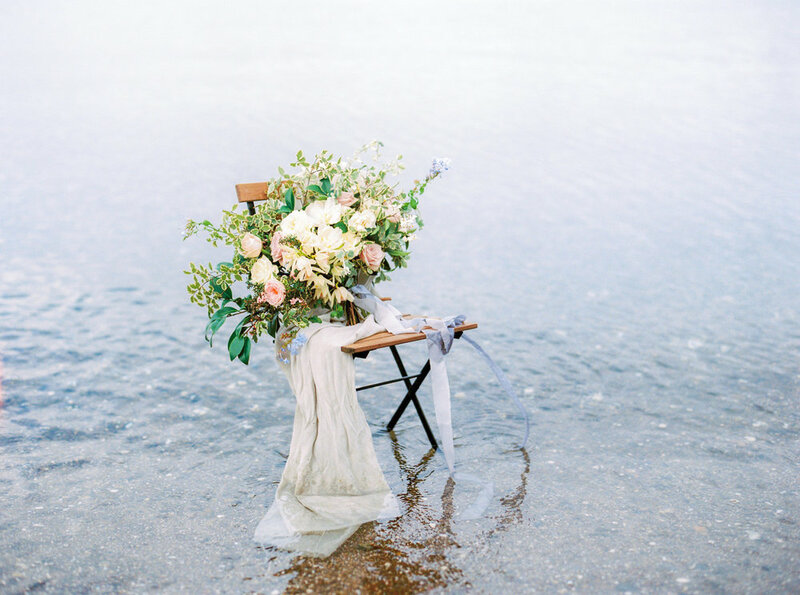 Man O' War Bay was our chosen beachside location for this styled shoot, with it's moody landscape and sheltered bay. It was also rather handy having Man O' War Bay Vineyard Tasting Room across the road! A fun afternoon, and so great meeting our guest florist Brooke from Seventh Stem, (all the way from Portland) who joined Stacie from Lux Floral Studio in creating some beautiful florals. 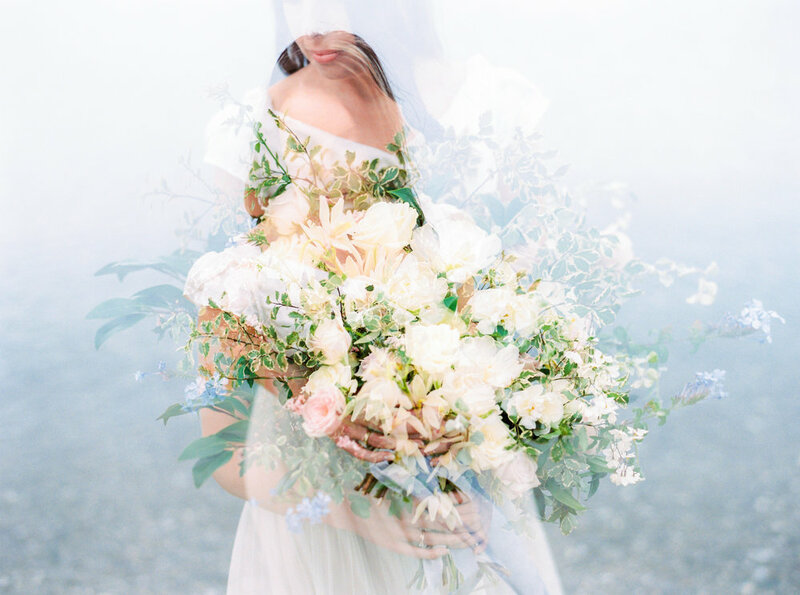 These stunning film images are thanks to our good friend Steph from BubbleRock, we are so grateful you made it over Steph! 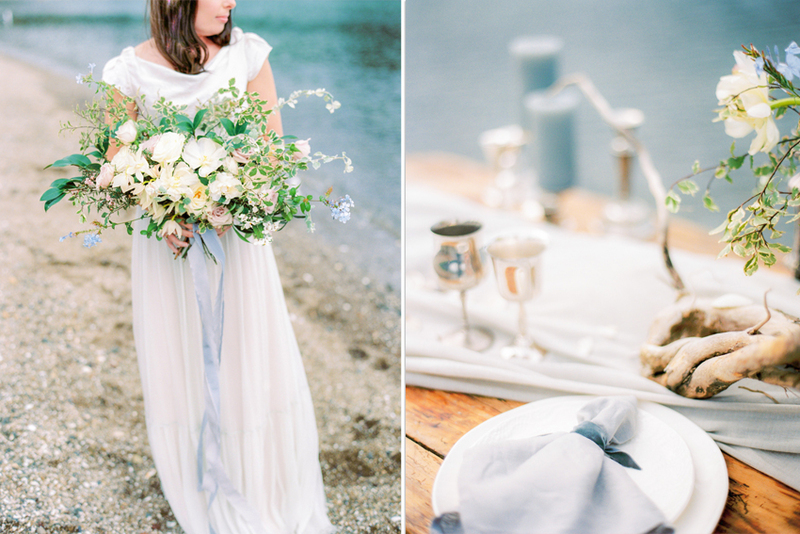 How pretty and romantic are these seascape tones of blues and greys, this was definitely well worth getting wet for! Thank you to all those who helped out on the day.